She's the host of a confessional talk show on network television with millions of fans. But the popular reality TV programme – which aims to name, shame and ultimately humiliate abusive family members – has also made her a fair few enemies. Attractive, assured, ambitious and razor sharp, Jessica suddenly receives a chilling threat pressuring her to scrap the program and stop appearing on TV all together. Proof that this is no idle threat, the first victim, a young woman, is found dead with her throat cut. Jessica and her bosses face an agonising choice – take the programme off the air or risk more murders. They decide to defy the killer, for fear of setting a dangerous precedent, but there are dire consequences. Charged with trying to stop the carnage is DCI Sam Quinn who has been seconded to the Met’s ‘Celebrity Crime Squad’. Quinn is particularly qualified following the murder of his own actress wife Karen 16 months earlier, a tragedy which propelled him towards gambling and eventually into the clutches of local gangster Baz Carter, when his debts mounted up. But how low is the Network prepared to go to protect their ratings and is there any remorse at the price innocent victims have to pay? How does the killer select his victims in his bid to make Jessica suffer – and what ultimately is to be her fate? Can DCI Quinn get Carter’s goons off his back long enough to follow the crimson tide to its seemingly inevitable conclusion? 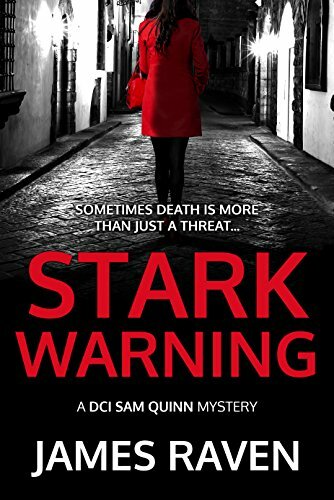 Stark Warning is an icily precise thriller that chills and delights in equal measure as it lays bare some of the realities behind reality TV and the all-too-human frailties that beset even the strongest among us.